Her-bert! Her-bert! Bert! Bert! Bert! "Her-bert! Her-bert!" I'm sure that's what the mama piping plover (Charadrius melodus) was peeping across the sand at Breezy Point on Jamaica Bay in Queens on June 14. I'm finally getting around to posting my photos and the Filming the Feathers video for these delightful little birds. I spent a very hot and sunny day filming the little Herberts and their parents as they rushed back and forth on the beach. The Filming the Feathers video is a bit choppy, but I was basically filming blind on the beach with my Sony camera (my Canon was looking for some love in the repair shop that day). 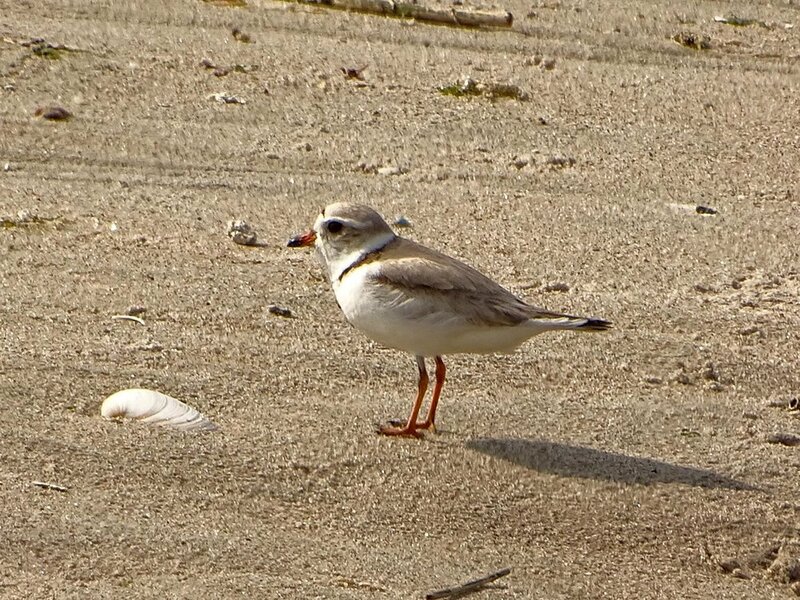 The distraction behavior of the adult piping plover was fascinating to watch. These birds will feign broken wings and injury to draw the attention of a potential predator away from the chicks. You will see some of that behavior in the video. This first set of photos shows the little Herberts on the beach. 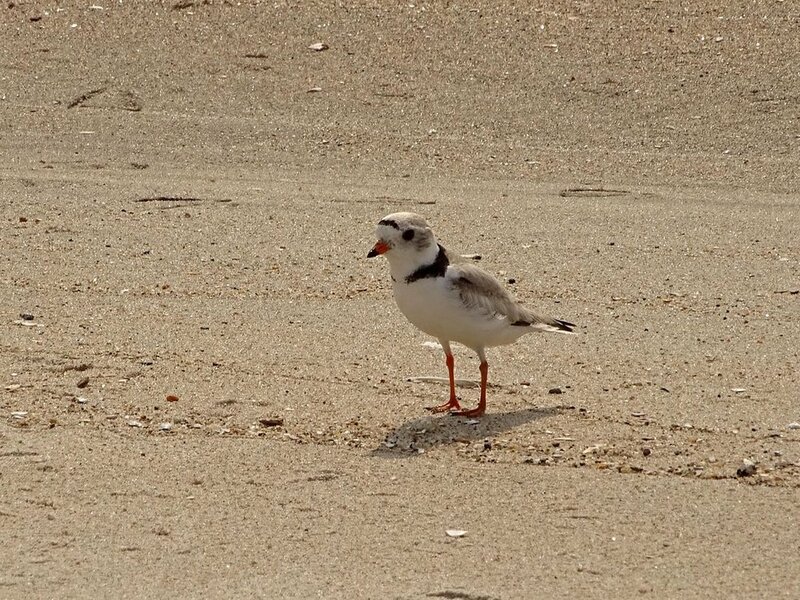 These are the adult piping plovers I had the joy to watch in June.